We believe Fine Arts education is a key component in developing a well-rounded student. Students from preschool to high school are provided Art & Music as core pieces of curriculum. Music class includes basic music theory, vocal performance and learning to play various musical instruments like the recorder and guitar. Art classes create individual and collaborative pieces using different mediums such as watercolor & pastels. The annual school-wide Art Show is held in partnership with the Spring Musical performance. It's TCA tradition to put on a Spring Musical. Students are able to audition for character parts, solos, assist with stage and set production and be a part of the sound/light crew. 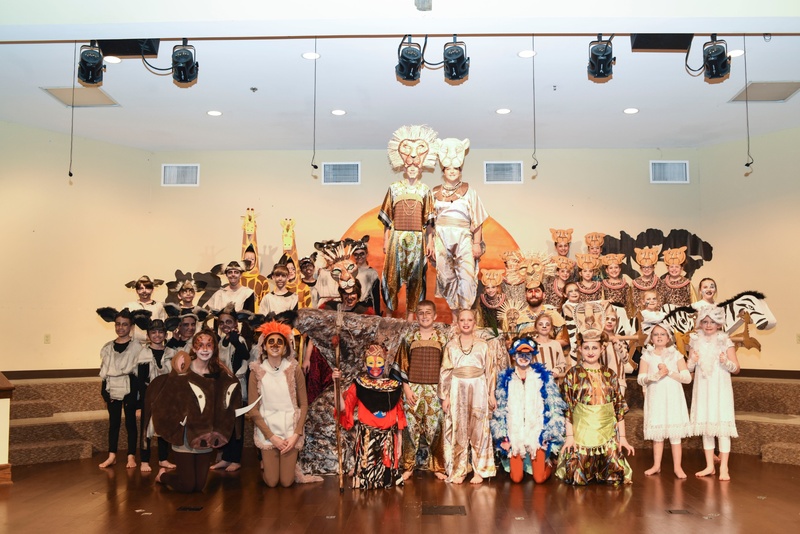 The 2018 production of Lion King Jr. was outstanding! Forty-seven students from 3rd Grade to 10th Grade participated and over 500 people attended the show. Mark your calendar for May 2 & 3, 2019 for this year's Art Show and production of Aladdin, Jr. Both performances will be at 6:30pm.